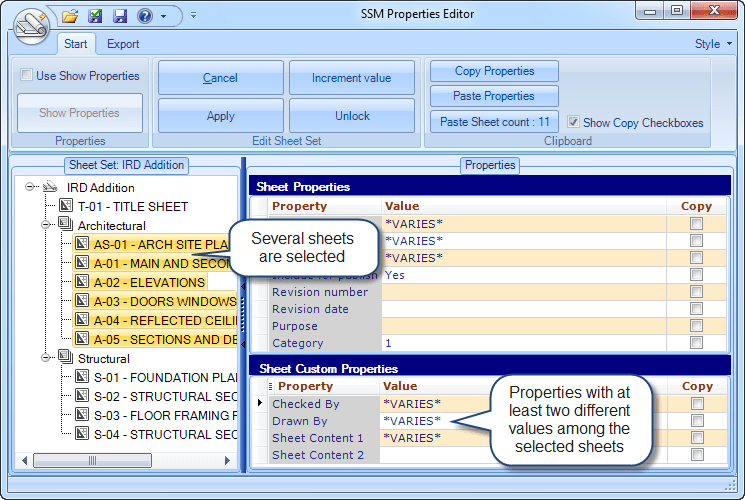 Sheet Set Manager Properties Editor version 3 is now available. Now you can copy and paste properties easily between sheets or sheet sets as well as edit sheet set properties. This makes it possible to work more effective with Sheet Sets, save time and tedious manual work. See all the news below. Downloads are available on the SSMPropEditor website. A Camtasia Screencast is available here if you cannot access the above YouTube video. SSMPropEditor is compatible with all AutoCAD based applications that uses Sheet Set Manager or Project Navigator. SSMPropEditor does not require AutoCAD to run. AutoCAD 2010 as well as Windows 7 32-bit and 64-bit are supported. Aargh, not the dreaded ribbon! Otherwise, the feature list appears to be a significant upgrade.